A gifted actor who could effortlessly segue between characters of various shades, Arshad Warsi's film career spans well over two decades. He first rose to prominence in showbiz as a prodigiously talented dancer in the early 1990s, and his Bollywood debut came with the romantic drama Tere Mere Sapne in 1996. Since then, Arshad has steadily risen through the ranks to establish himself as one of the most dynamic performers in the industry. May it be the endearingly goofy Circuit in Munnabhai MBBS (2003) or the noble SSP Ajay Kumar in Sehar (2005) or the charmingly devious Babban in Ishqiya (2010), Arshad has the uncanny ability to instinctively get into the skin of the character. Therefore, it comes as no surprise that the versatile actor has already added several prestigious awards-from Filmfare to IIFA-to his repertoire, with many more to come. Arshad was born in Mumbai, India and completed his early education at Barnes School in Deolali. After losing his parents at the age of 14, the actor was forced to leave school and he started working as a door-to-door salesman to support himself financially. Arshad married Maria Goretti, a MTV VJ and dance enthusiast. She was also a contestant in a dance reality show for which the actor was a judge. They fell in love instantly and after dating for a brief period, the duo decided to get married on 14th February 1999. The couple has two children, Zeke Warsi and Zene Zoe Warsi both of whom made a special appearance in the film Salaam Namaste. Arshad started his career in 1996 with Tere Mere Sapne, which was the maiden production under the Amitabh Bachchan Corporation banner. The film received positive response and helped Arshad gain recognition in the entertainment industry. This was followed by several films that failed to make an impact at the box office. In 2003, the actor landed his breakout role with Rajkumar Hirani's comedy film Munna Bhai M.B.B.S. His brilliant performance as Munna Bhai's (Sanjay Dutt) loyal friend and sidekick Circuit not only won over the audience, but went on to become one of the most iconic comedic characters in Bollywood history. Arshad also won the Zee Cine Award for Best Actor in a Comic Role for his performance in the film. After Munna Bhai, he played a supporting role in the film Hulchul in which he was awarded the GIFA Best Comedian Award and was also nominated for the best performance in a comic role. The following year he played the central role in the film Sehar where he essayed the role of an honest cop on a quest to eradicated organised crime. In the same year, he appeared in supporting roles in films like Maine Pyaar Kyun Kiya (2005), Salaam Namaste (2005) and Golmaal: Fun Unlimited (2006). In 2006, Arshad once again collaborated with Rajkumar Hirani for Lage Raho Munna Bhai, a sequel to Munna Bhai M.B.B.S for which he won four prestigious awards including his maiden Filmfare Award for Best Performance in Comic Role and IIFA Award for Best Supporting Actor. Arshad also played a pivotal role in Kabir Khan's Kabul Express for which he won appreciation from all quarters. The following year, he featured in the ensemble comedy Dhamaal, which was a critical and commercial success. Drifting away from comedic roles, Arshad Warsi broke the stereotype and did a serious role in the John Abraham starrer Dhan Dhana Dhan Goal, where he essayed the role of an Indian football player living in London. However, the film failed to impress. In 2008, Arshad collaborated once again with director Rohit Shetty for Golmaal Returns (2008), which was a sequel to the 2006 film, Golmaal: Fun Unlimited. 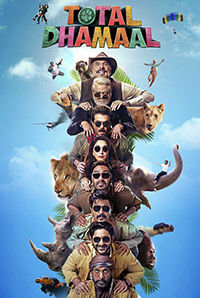 The film co-starring Ajay Devgn, Tusshar Kapoor, Kareena Kapoor Khan and Shreyas Talpade received mixed reviews but did phenomenally well at the box office. In 2009, Arshad shared the screen space with Akshaye Khanna and Amrita Rao in Shortkut: The Con Is On where he essayed the role of a struggling actor. The film performed poorly at the box office. The following year, Arshad Warsi starred alongside Vidya Balan and the veteran actor Naseeruddin Shah in the critically acclaimed black comedy film Ishqiya. The film, which was selected for screening at the 34th Cairo International Film Festival, also performed well at the box office. In 2013, Arshad played the lead role in the courtroom black comedy-drama, Jolly LLB, which was written and directed by Subhash Kapoor. The film revolved around a small-time advocate who goes head-to-head with a high-profile advocate, when the former re-opens a controversial case. The film also stars Boman Irani and Amrita Rao in the lead roles. A critical and commercial success, Jolly LLB (2013) went on to win the National Film Award for Best Feature Film in Hindi that year. The following year, Arshad starred in Dedh Ishqiya, which was a sequel to 2010 film Ishqiya. The film received critical acclaim, but wasn't able to generate great numbers at the box office. In 2015, Arshad appeared in Ashish R Mohan's comedy film Welcome to Karachi, where essayed the role of a court-martialled navy officer. In his solitary release in 2016, the actor starred in The Legend of Michael Mishra, which turned out to be a disappointment both critically and commercially. Among the celebrated actor's other notable film credits in recent times are the thriller Irada (2017) and the supernatural comedy Golmaal Again (2017). 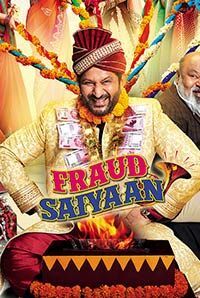 In 2019, Arshad starred in the comedy Fraud Saiyaan, where he essayed the role of a seasoned con artist who makes a living by scamming women into marrying him. Arshad was the co-host of a dance show Razzmatazz (2001), Karishma The Miracles of Destiny from 2003 to 2004. He also hosted Sabse Favourite Kaun (2004) and Bigg Boss season 1 (2006), the Indian version of the reality television series Big Brother. Arshad Warsi won the Indian dance competition held in London in 1991 and started his own dance academy called Awesome with the prize money he won from the competition. Arshad Warsi started his career as a choreographer; he choreographed his first song in the film Roop ki Raani Choro ka Raja (1993). Arshad was a national level gymnast during his school days. There are several references in Jolly LLB 2 to its predecessor. In the courtroom scene where Akshay Kumar's character introduces himself as Jolly, the judge (played by Saurabh Shukla) quips whether he has a brother living in Delhi. This is a direct reference to Arshad Warsi's character from Jolly LLB (2013). Dealing with corruption and staying calm is a talent most of us in India have mastered and learnt to live with. Whenever I go on a diet the only thing I seem to lose is my mind.